Together with Hammarby Fotboll’s ad agency IK Stockholm, Pack Train was commissioned to develop a concept for the introduction of Craft as Hammarby Fotboll's new kit supplier. The concept included both the communication and PR as well as an event exclusively arranged for the club’s supporters. As the club was not allowed to communicate anything about the new partnership prior to launch, an invitation with a blank topic went out to supporters just before Christmas. The only information shared was about an upcoming supporter conference which allowed supporters to freely speculate about reasons for such a conference. This speculation helped to build momentum for the launch. The number of seats to the conference was capped to 500 and the tickets were ‘sold out’ in a couple of hours. 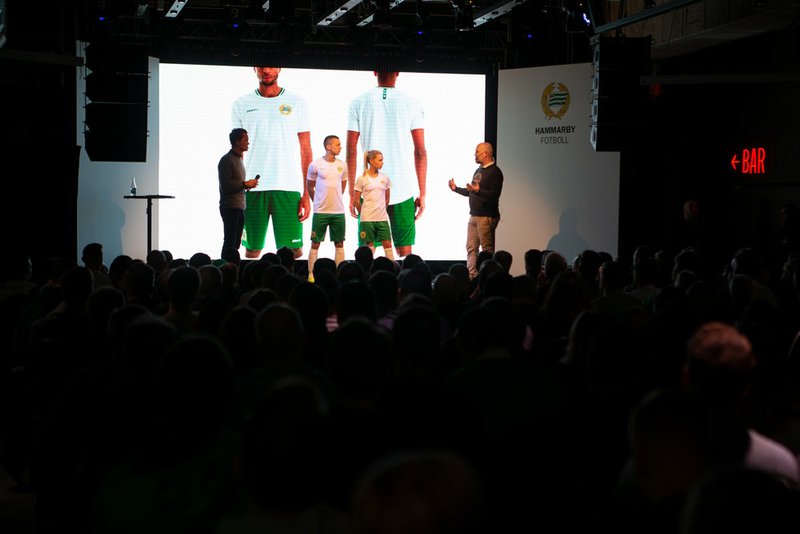 In the first week of January 2019, Craft was presented as Hammarby Fotboll's new kit supplier at a jam-packed supporter conference in Tele2 Arena. In order to address the topic in the best possible manner, the choice was made to focus the communication around the fact of the partnership being the financially largest partnership in the history of the club. Moreover, visitors could not only view the home shirt but also the away shirt, a cup shirt and a 3rd shirt plus the full range of training clothes. Lastly, supporters were informed before anyone else - media and other stakeholders had to wait for their turn. 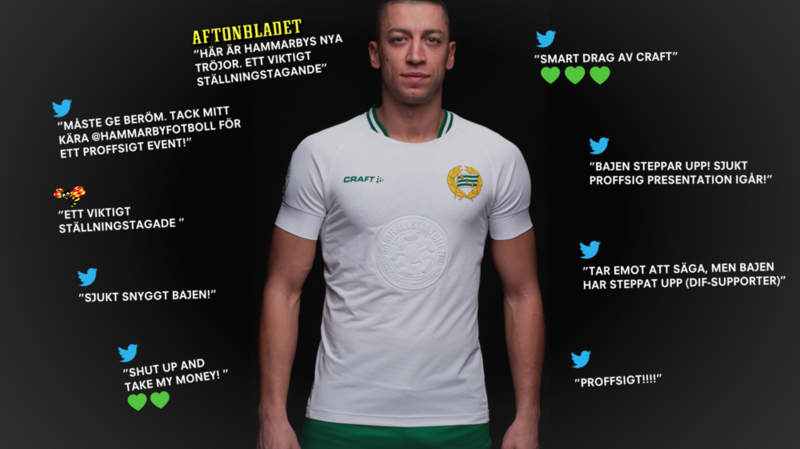 Social media exploded with positive reviews both in their own ranks as well as from rival supporters and shortly thereafter, media published the news of the collaboration between Craft and Hammarby. 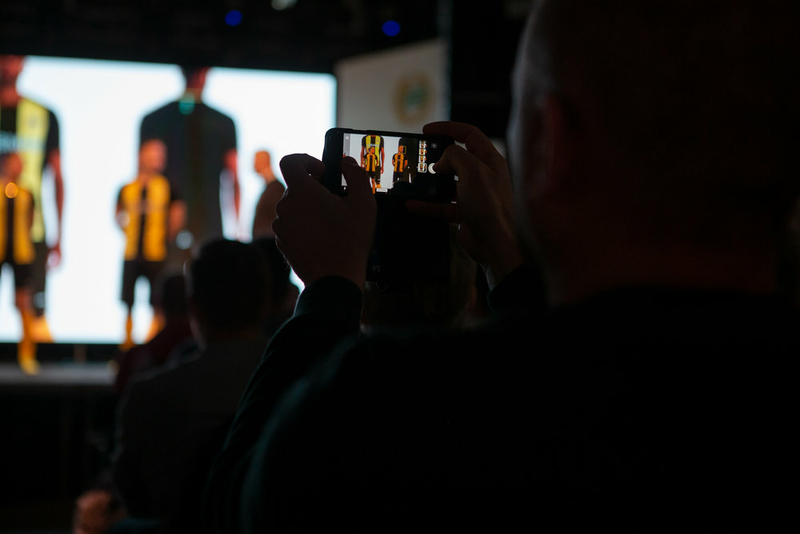 The response from the club's supporters is unparalleled and Craft, together with Hammarby Fotboll, has set a new standard for how Swedish football clubs can knit together business with internal and external communication in the best possible way. ”Samhällsmatchen” is Swedish top-flight football club Hammarby’s programme for CSR work in the community. Samhällsmatchen can be described as the game off the pitch – what Hammarby as a football club can do to identify and adress challenges in society and improve everyday life of citizens in the community. Pack Train assists Hammarby with strategy, packaging and visual presentation in order to increase the property’s sponsorship revenue. Visit samhallsmatchen.se to learn more (site in Swedish). Åbro has been a faithful partner of AIK Fotboll since 1994. During these 23 years its logo has decorated the center piece of the AIK jersey but 2017 will be the brewery’s last and final year as a jersey sponsor. Åbro wanted to leave with a bang and were open to creativity. In this case Pack Train produced a creative concept for AIK. We did it pro-bono in order to prove our hypothesis about sponsorship 2.0. Meaning, if one stops treating sponsoring as a separate discipline and start to shift one’s focus from exposure to topics worth talking about, then one can make a true impact. Its all about the context as the context decides how you build relations to your target groups. The context in this case was the symbolism between icons in football and the most iconic place on the jersey. Hence, we suggested that Åbro should give up their logo on behalf of Hjärt-Lungfonden (Swedish Heart-Lung Foundation) and to connect the initiative to the late AIK-keeper Ivan Turina who tragically passed away in sleep due to a heart failure in 2013. Not only did his death affect AIK and Åbro – but the entire Swedish football community. The project was launched during the pre-season league kick off and received massive attention. Never before has news about a leaving sponsor generated over 60 articles along with interviews on national TV, and thousands of comments on social media. All in one single day. Both AIK and Åbro were praised by team supporters as well as rival clubs and supporters and Åbro became the trending topic on Twitter. All this was achieved without a single logotype on the jersey.